Who said that only Huskies could pull sleds?? Tilly is playing mommy to this little kitten. She is allowing T.P. the kitten to suckle her. Cali is a 1 ½-year-old Labrador Retriever. 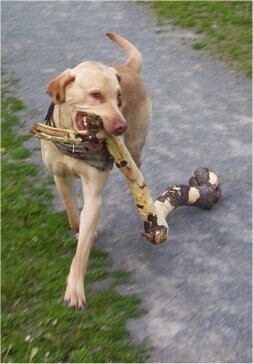 He absolutely loves fetching huge logs. 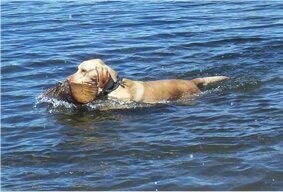 If you throw a little stick for him he won't even bother with it! 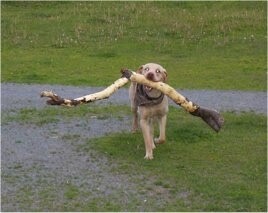 Cali carrying a huge stick.